In essence, you have a rotating shaft of a motor (center) attached an eccentric cam (orange) that rotates feely inside a ball bearing; that bearing, in turn, is in the center of a sun gear (green) that rolls inside a fixed ring gear (blue). 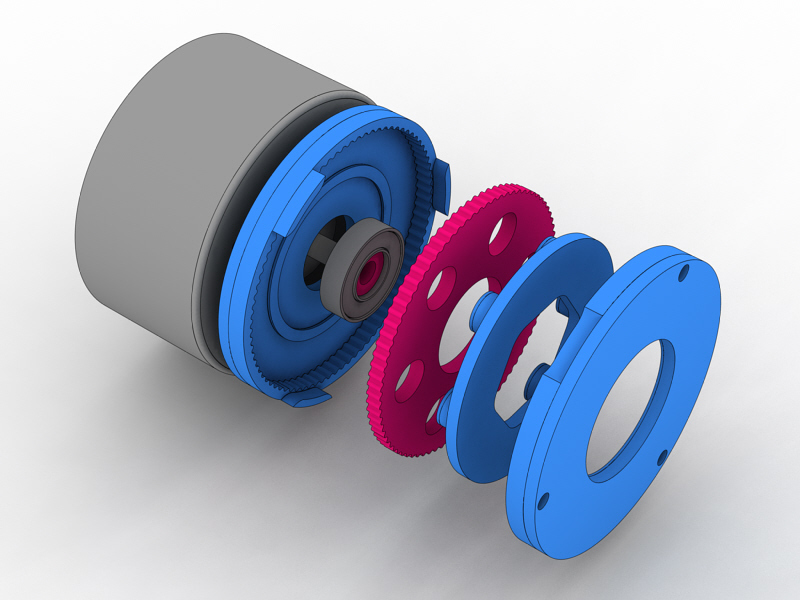 In the leftmost drawing, the cam is facing up, which keeps the sun gear in contact with the top of the ring gear. As the motor shaft begins to rotate clockwise, the contact point follows this motion, and the sun gear rolls inside the ring. 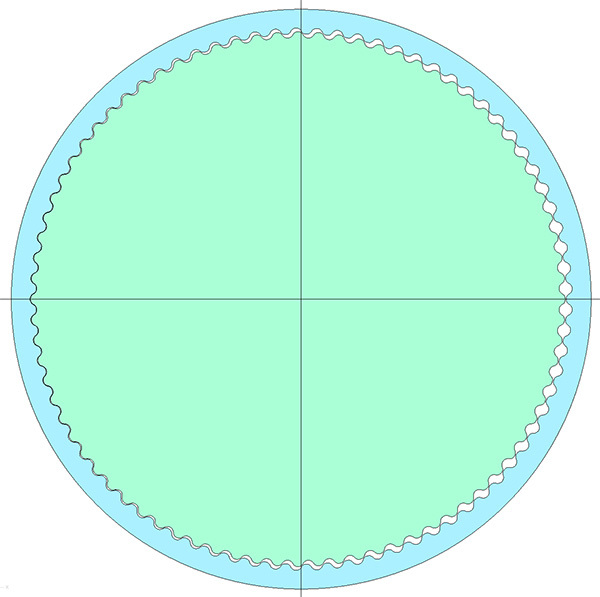 Because the circumference (C) of the rolling gear is smaller than that of the ring, any point on its surface will effectively slowly rotate counterclockwise. If you do the math, the transmission ratio of this mechanism is (Cring - Csun) / Csun. In other words, if Csun is 65 mm (diameter of ~20.5 mm), and Cring is 65.5 mm, the ratio is 130:1. 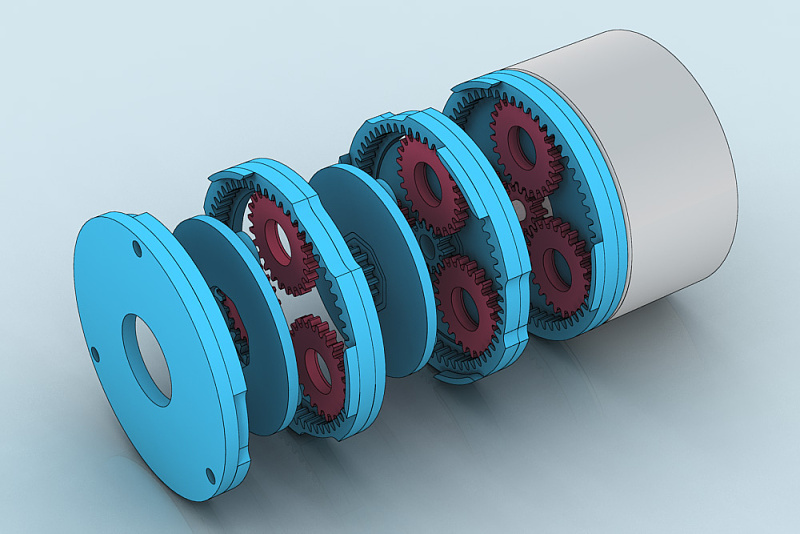 If you used spur gears or a planetary gearbox, it would be difficult to achieve 8:1 or so in the same envelope. The pins slide around the holes in response to the wobbling motion, but always remain engaged. The steady counterclockwise rotation of the ring gear is, on the other hand, picked up. The only disadvantage of cycloidal drives is that the bearing and the sun gear are an unbalanced mass, and will cause some vibration. In my design, the eccentricity is minimal (around 0.13 mm), and the effect is barely perceptible; but in large-scale applications, it is sometimes necessary to use two bearings and two sun gears, 180° off-phase, to compensate for the problem. If you have Rhino with the Grasshopper plugin installed, you can generate your own cycloidal gear profiles via this script. What else? I used a miniature 4x8x2 mm bearing from VXB ($2) and a nice RF-300FA-12350 motor from Mabuchi. 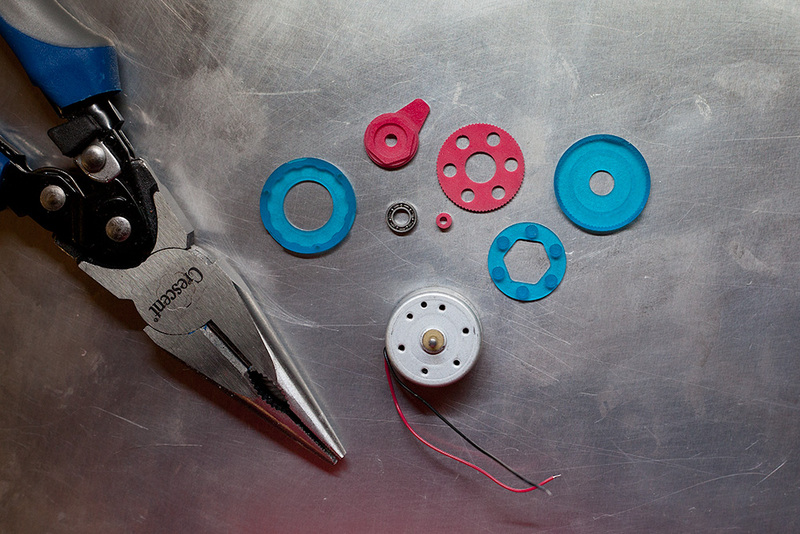 As usual, you can have a look at the process of machining and casting all the custom components here.